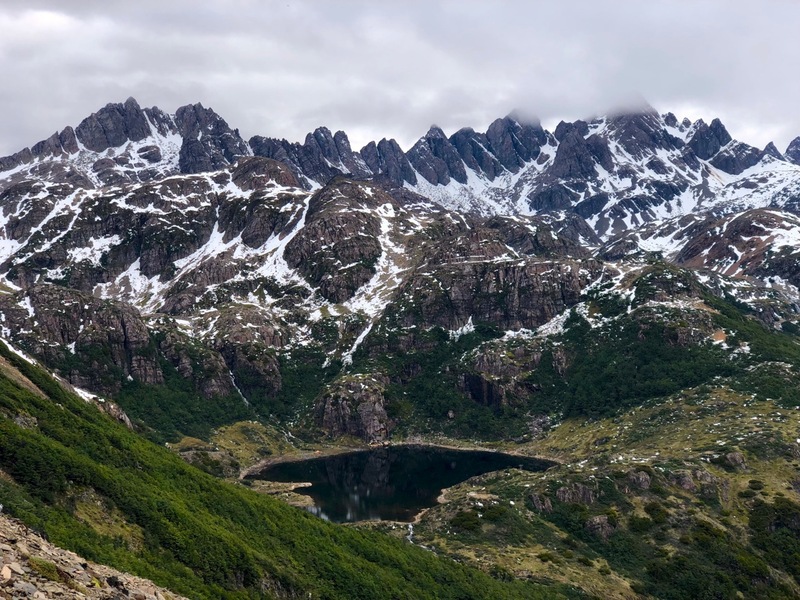 The Windhone Lake route is an alternative which also starts in Puerto Williams, getting you even further south. Some choose Windhone when Dientes looks impassable due to snow. Note: You can recommend improvements by leaving recommendations or links in the comments on this page. Our editors will consider them. Thanks for your help! world’s most southerly major hike? recommended 5 days, 4 nights in the past. Most hikers are doing it in 4 days, 3 nights now as the route is better cairned and signed. there is no official rescue service. Be responsible for your own safety. Brian Spurling was there in 2017. 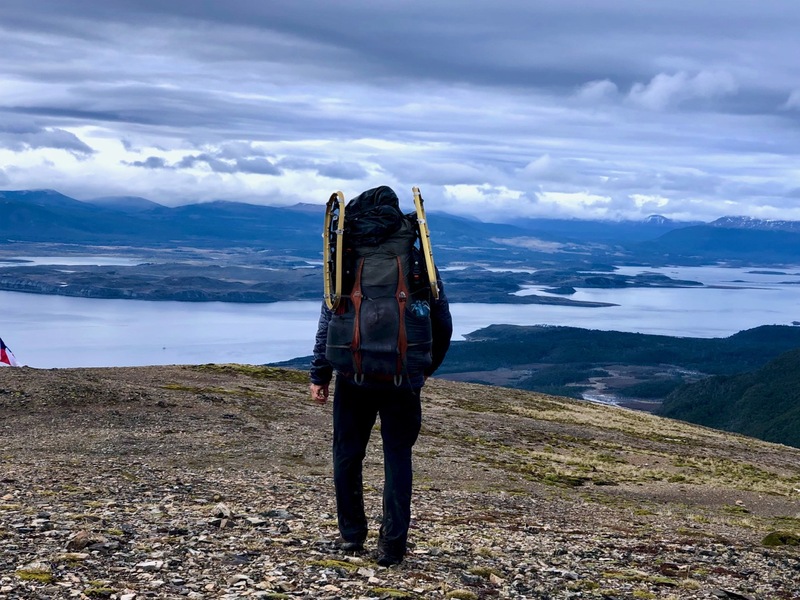 He found it expensive compared with the other great Patagonian hikes. FIRST you need pay to get to the end of the world. 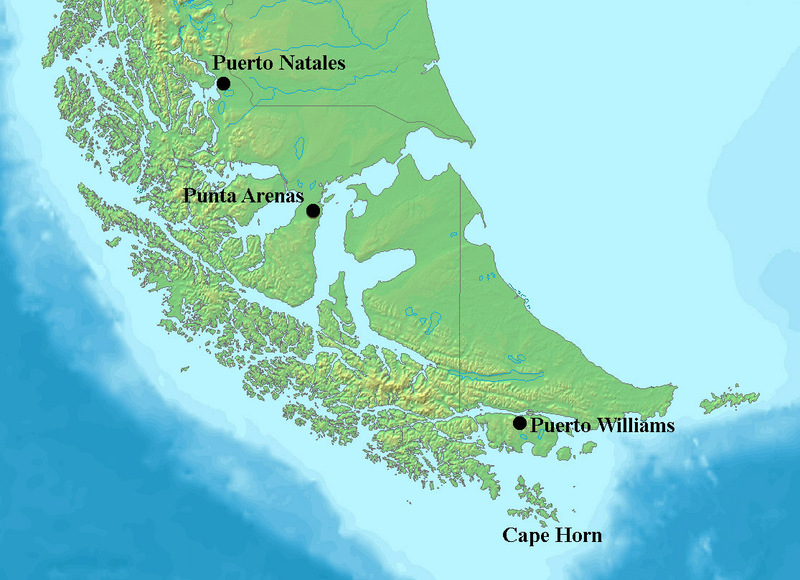 That’s Puerto Williams (pop. 2000) on the island of Navarino. 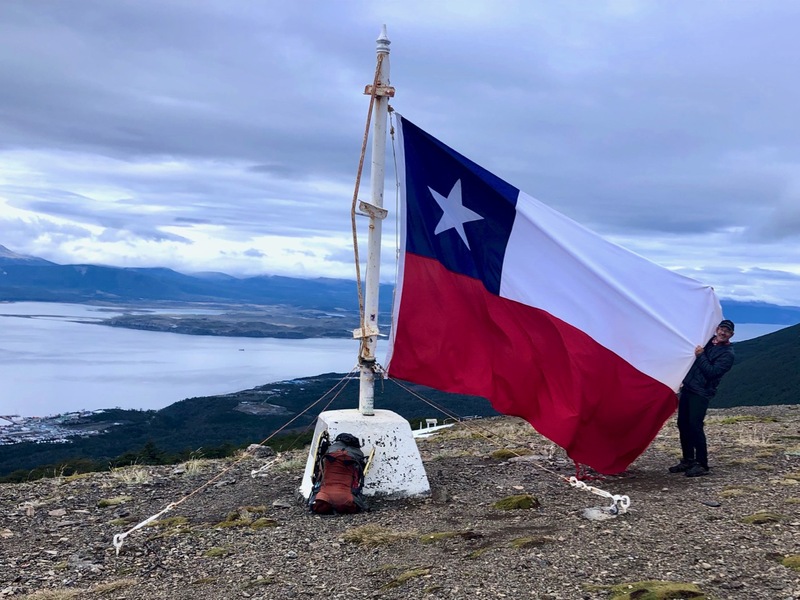 First … you need to get to remote Puerto Williams. Late December through February are the best moths. Next you’ll need good gear. And enough food for 4 days plus an extra day in case of emergency. 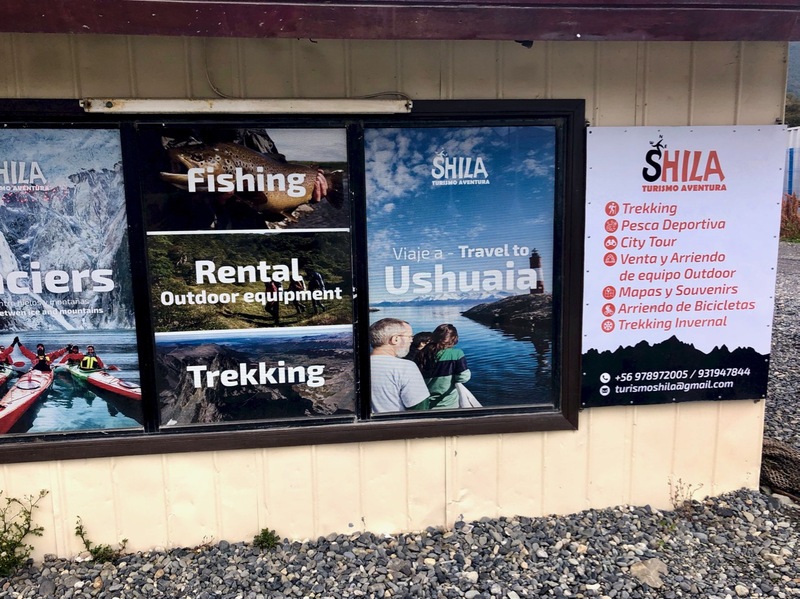 The main gear store —Shila — sells and rents some types of stoves, knives, tents, sleeping bags, etc. You can also rent a GPS there that has the circuit route uploaded. Small supermarkets have basic food supplies. 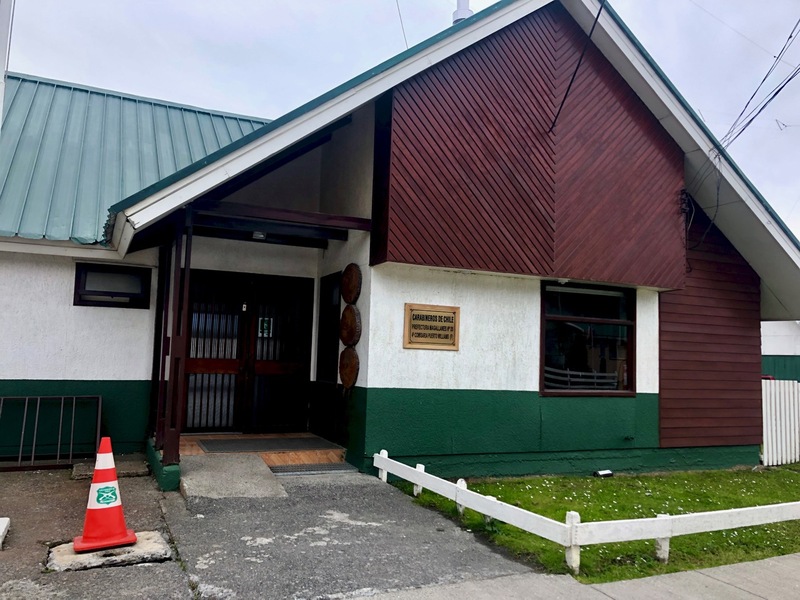 Bring any speciality foods with you to Puerto Williams. When you get to Puerto William, ask if there are any hikers who have recently returned. They will be the best source of last minute advice on trail conditions. Hotels and hostels in Puerto Williams have all the information you need to organize the trek. There is no Ranger or trail maintenance once you get out there. 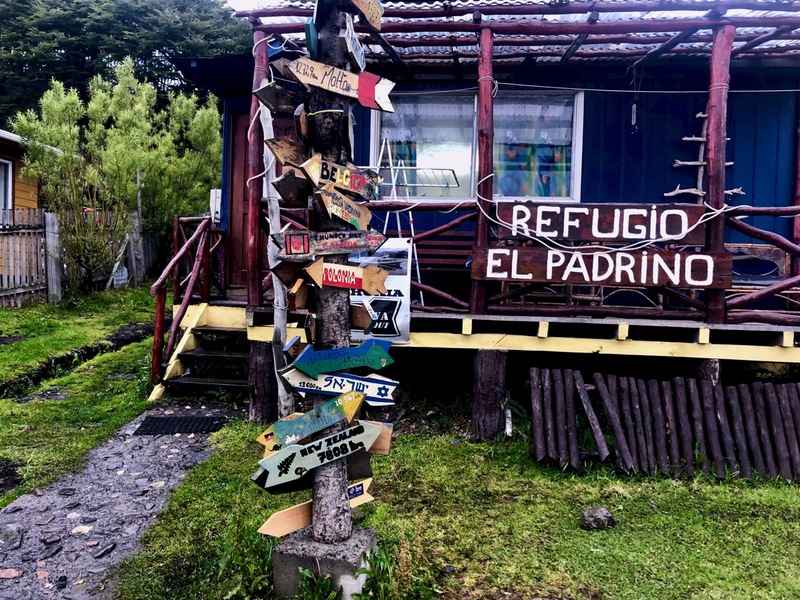 Many hikers stay at the inexpensive El Padrino hostel or their camp ground. Actually, it was Lonely Planet’s Clem Lindenmayer who popularized Dientes in the 1992 first edition of that guidebook. 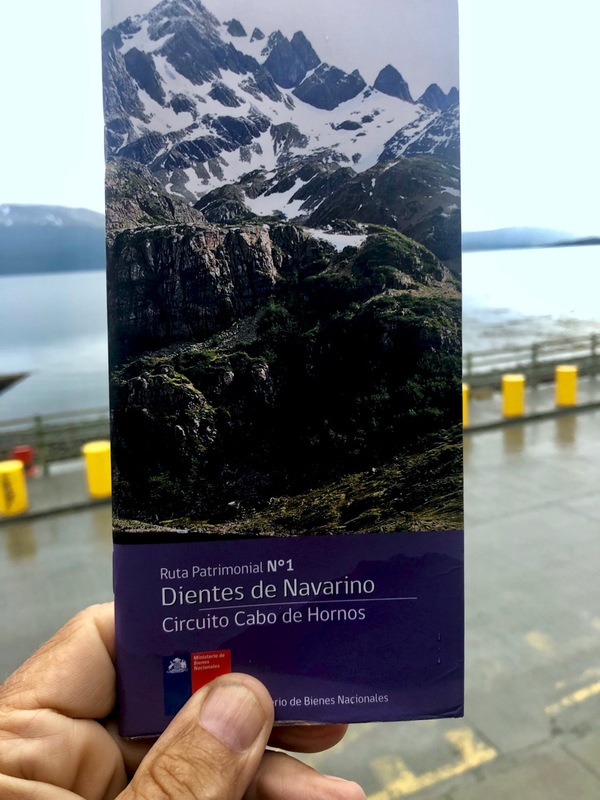 In 2019 all you need is this free pamphlet widely available in Puerto Williams. We can’t recall a better free hiking brochure anywhere else in the world. In Spanish with English translation, it’s crystal clear. All you need for navigation. As a back-up, use the free Maps.me app. 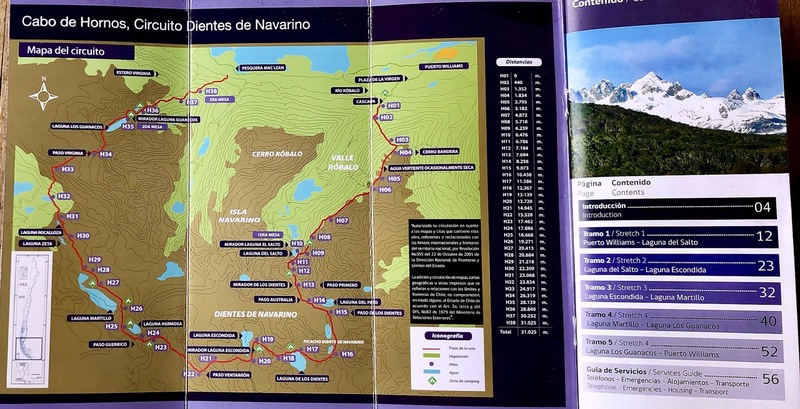 A simple map of the trek can be purchased in Puerto Williams. If you like souvenir maps. Many hotels and hostels have maps left behind by previous guests. Click PLAY or watch part 1 on Vimeo. Click PLAY or watch part 2 on Vimeo. Check our blog for posts tagged “Dientes”. Note: Questions? Suggestions? Leave a REPLY on this page. Our editors will reply. Thank you for this very usefull and recent information! Actually at this moment we are in Punta Arenas and are considering to do this trek. 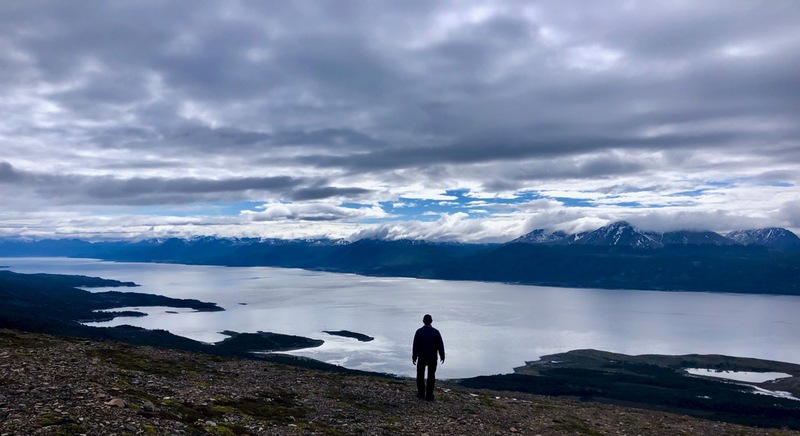 However your comment about many hikers returning because of snowfall end Feb 2019 is making us think twice. 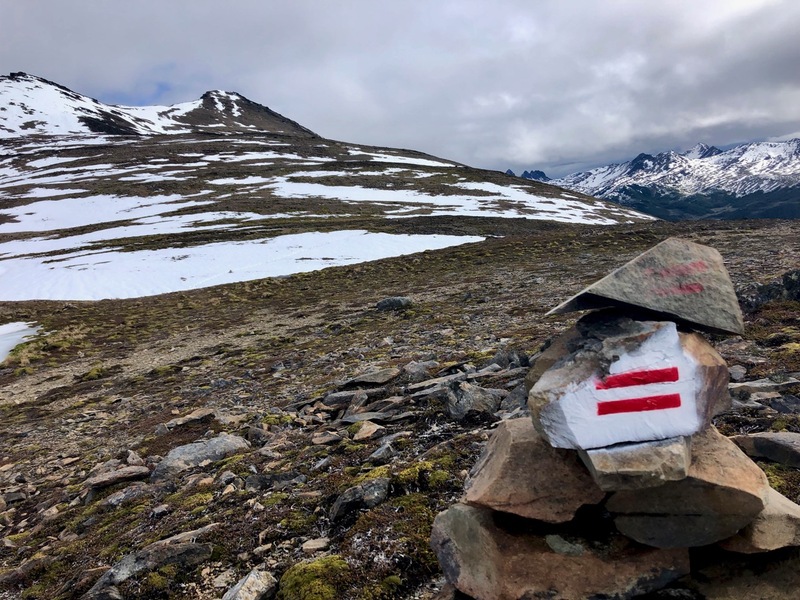 In your opinion, do you think the snow that has already fallen (i assume there was little thaw since then) will form a big hinderance for trekkers at this time? Or is most of the hinderance during snowfall due to low visibility, wind, etc. Do you have any advice for us? We would be very grateful for any additional information you can provide. I haven’t heard anything since I left March 2nd … but my guess is that you have a 50/50 chance of getting through.